We are Microgeneration Certification Scheme (MCS) certified independent installers of residential and commercial solar PV systems operating nationwide. We estimate a typical PV FIT system can provide you with combined income and savings of over £900 per year, which is linked to inflation, tax free (if installed on your home) and guaranteed by the Government for 25 years. You will also be saving over a tonne of CO2 per year! Solar panels do not require direct sunlight to work. As long as you have a mostly unshaded Southerly facing roof, East & West are also OK, and there is daylight you can generate your own energy, even in the UK. We handle all aspects of the solar process from survey, design and specification, to installation. We make it easy for you to claim your solar Feed-in Tariff (FIT). Visit our partner site at GenFit, suppliers of all commercial and domestic renewable energy systems for a free consultation. Our expert team can complete a free solar survey of your property over the phone, developed through many years experience in the solar industry. 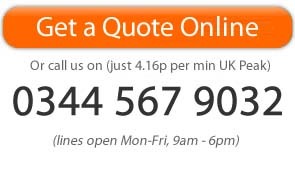 We will then send you a fixed price quotation, including a proposed layout and an estimate of performance and income form the feed in tariff – all without having to visit your home! We only use top performing MCS approved solar panels, top class roof fixing equipment and industry leading solar inverters, with built in web monitoring, so you can be sure your equipment will be top quality, will last and maximise your return on investment. All with a 5 year independent insurance backed workmanship warranty for even greater peace of mind. Don’t take our word for it. If you would like an independent point of view we are more than happy to put you in touch with an existing PV FIT customer near to you! It couldn’t be simpler! Contact us for your free solar survey and start profiting from the Sun today.